Maintaining ethnic culture and identity is especially hard for those who migrate across continents. The “We Are Sikhs initiative” is attempting an outreach to educate American and Western public about the rich culture and heritage of Sikhs. 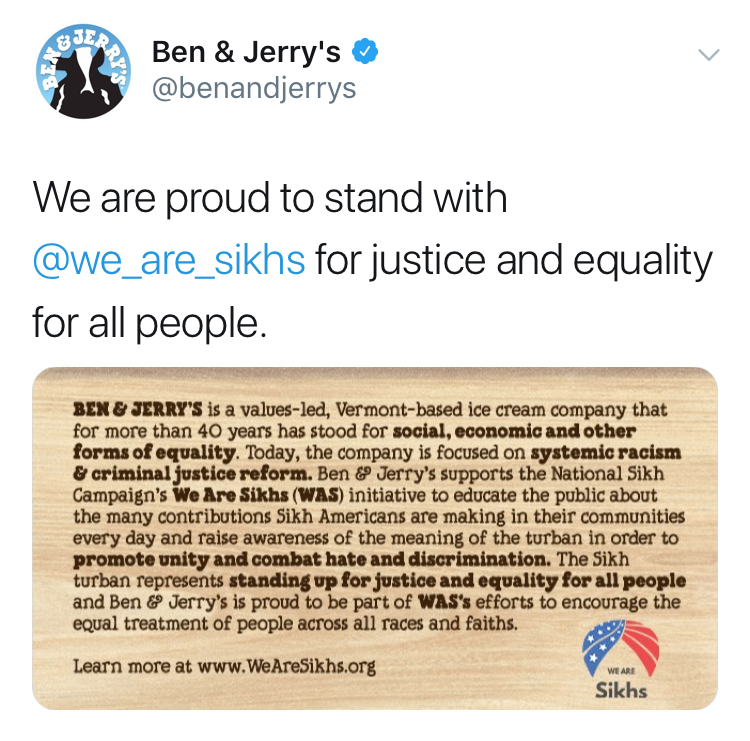 The National Sikh Campaign announced that Ben & Jerry’s has signed up to support “We Are Sikhs initiative” to educate the public about the contributions of Sikh Americans and the meaning of the turban.